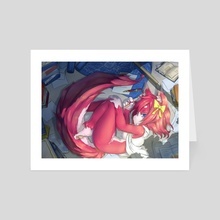 Illustrated by WaHa, the foxgirl, totally unrelated to Internet Explorer, lazes around the room during the hot, humid summer afternoon. 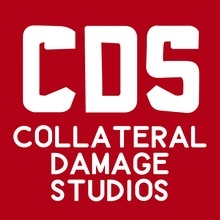 Collateral Damage Studios started as a small circle of friends with lofty ambitious of revolutionizing the local art scene while drawing fanart. Over time as the circle became more prominent, we decided to become a professional studio and help others get their stories out in a visually appealing fashion. Among us, we boast experienced, award-winning and popular illustrators who will draw some of the best works in Singapore. We have also worked with a variety of clients, from the local social enterprise to MNCs such as Loot Crate.